HOUSTON -- A person with knowledge of the situation tells The Associated Press that the Houston Rockets have agreed to terms with Nene on a one-year, $2.9 million deal. I am honored to become part of the Houston Family!! 👊 Thank you for the opportunity and LETS GO ROCKETS!!! The Rockets and Nene came to agreement on Wednesday to help the team address the departure of center Dwight Howard. The person spoke on condition of anonymity because the contract cannot be signed until Thursday. 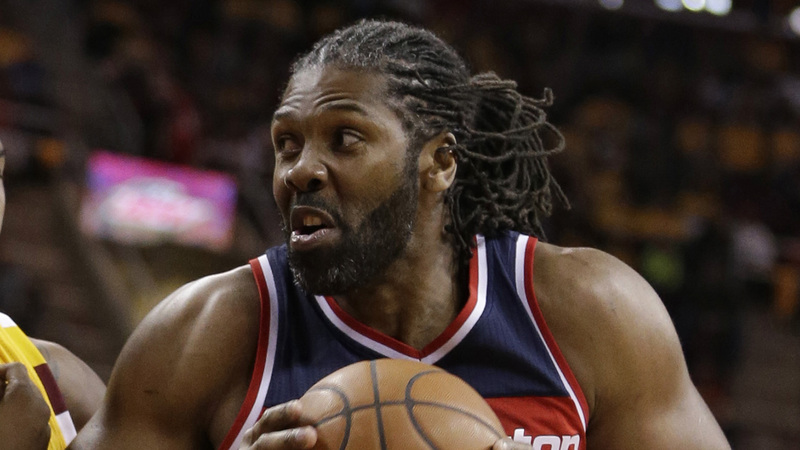 Nene averaged 9.2 points and 4.6 rebounds in 57 games for the Washington Wizards last season. When healthy, the Brazilian remains a formidable presence in the paint who can give the offensive-minded Rockets some needed toughness. Howard left after three tumultuous seasons in Houston to sign with his hometown Atlanta Hawks.